Catching Up. Back in October I started a series of posts just looking simply at the New Testament passages that talk about Baptism. This series begins HERE if you’d like to start at the beginning. We started with the baptism of Jesus and noted some things that Jesus said about baptism. Following that we went to the end of the Gospels and noted that in the last recorded words of Jesus, he talked about baptism. The last post I wrote examined a day when 3,000 people were baptized. That was in Acts 2 on the Day of Pentecost. That’s not the end of the story of baptism in the New Testament. Philip is an interesting man in the Gospels. Many times when we read about him, he is bringing someone to Jesus. He loved Jesus and he wanted everyone to know about him. After the resurrection of Jesus and that day when 3,000 people were baptized, there were powerful people who wanted to squash the work and word of Jesus. Those early Christians began to experience persecutions. One of them, Stephen, was stoned to death (Acts 7:54-60). “On that day a great persecution broke out against the church in Jerusalem, and all but the apostles were scattered throughout Judea and Samaria” (Acts 8:1). Far from extinguishing the fire, these Christians became a spreading flame as they fled throughout the nations. “Those who had been scattered preached the word wherever they went” (Acts 8:4). One of those Christians was Philip. Philip preached in Samaria and through the power of the Holy Spirit did some amazing miracles. There was a man who heard him preach and saw him doing miracles, his name was Simon. Simon was someone who was known as a ‘sorcerer’ … really he fooled people into believing he could connect with spiritual forces to manipulate them into doing what he wanted. He was actually quite well known for this. “But when they believed Philip as he proclaimed the good news of the kingdom of God and the name of Jesus Christ, they were baptized, both men and women. Simon himself believed and was baptized” (Acts 8:12-13). There’s more to Simon’s story but we would just note that he heard the good news about Jesus and he believed it. He was then baptized. The man reading this passage was confused and he asked Philip if he could explain this teaching to him. Philip talked to him about that passage “and told him the good news about Jesus” (Acts 8:35). As they traveled along the man saw some water and asked if he could be baptized! The Bible says they “went down into the water and Philip baptized him. When they came up out of the water the Spirit of the Lord suddenly took Philip away…” and that man “went on his way rejoicing” (Acts 8:38-39). Philip is only mentioned one more time in the book of Acts, and in the rest of the New Testament. What I notice about Philip is that he wanted everyone he met to know and love the Jesus he knew and served. Today we read about Jesus in the pages of the Gospels and when we realize how much God loves us. A tremendous price was paid so that we could go to heaven and live forever. When the first Christians were spread out because of persecution, they told people all about Jesus and how to follow him. Those who believed were baptized. Today when we believe in Jesus, the appropriate response is to be baptized. In our next post we will read about a terrorist who became a preacher and what he taught about baptism. 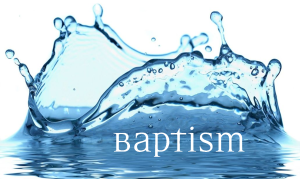 Here’s a really good Q & A on the subject of baptism from Rick Atchley and Taylor Walling. Baptism Q&A from The Hills Church on Vimeo. The post Baptism, 5 appeared first on Out Here Hope Remains.